It's been a week since my last confession. One of the things that I like about the Timehop application is that because I often shoot pictures of new books when I get them and start reading and post them, A year later, two years later I get reminded what I was reading back then. I think this is cool but I confess that I may well be the only one. In a weird sort of phenomena I confess that I've been writing lots of short phrases lately. Not connected to anything in particular. Hopefully, I will find a way to make use of some of them by connecting to other word groupings to form the creation of some poems with them. I confess that I was writing the word lasagna and I wanted to add about three more letters to it. It just looked so inadequate unless I piled on a few more layers of letters. Everyone be safe and come back next week. squeeze that bogus red nose of yours. that clowns and children go together? flat affect to go with their smile? your face freaks us out - it's so obvious. to do, is honk your nose and run. What better way to start a weekend than to come home from work and find a new poetry book in your mailbox? 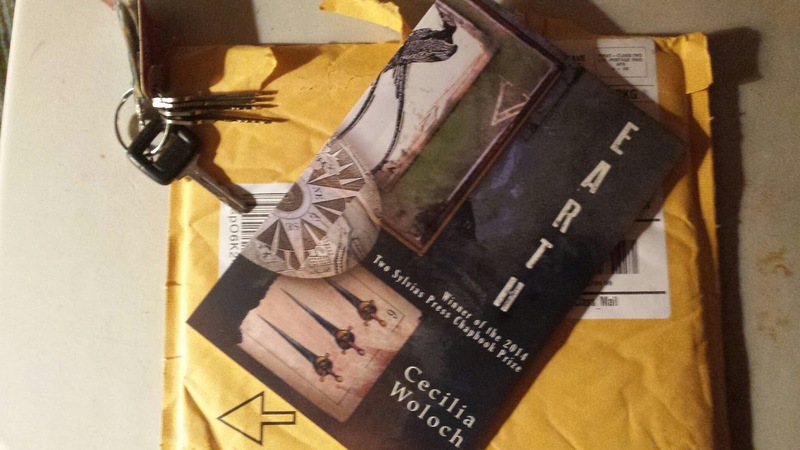 Earth by Cecilia Woloch is the Winner of the 2014 Two Sylvias Press Chapbook Prize. I've previously read her poetry collection titled Late and found it to be a well crafted and thought provoking. I am expecting good things from this read. The chapbook prize for this book was the first made by Two Sylvias Ptess and the contest was judged by Aimee Nezhukumatathil. It has been some serious weeks since I did my last Confession Tuesday and when I was thinking about this last night I was at a loss for for what I would say. I almost thought I'd take a pass on this week too. Frankly I often sit down and start without a clue so it hardly seemed rational for me to use this a a basis to skip it again. As it turns out several things started coming to me. It was as if a great sea had pulled back exposing things one by one as the water receded - metaphorically speaking of course. I confess there is something I most definitely need to acknowledge. During this past week a family member in a very dangerous situation came home safely. I cannot over-emphasize how providential this was. Sometimes I take things for granted and I know better. This was definitely a know better situation and the good Lord was there. Baseball is around the corner. Okay, maybe around the corner and down the block but Pitchers and Catchers report to the Giants training camp tomorrow. I confess that I ready for the games to begin. Speaking of around the corner. Tomorrow is Ash Wednesday the beginning of Lent. I was thinking about this yesterday because I generally make some kind of commitment related to Lent and from year to year it has varied in scope. 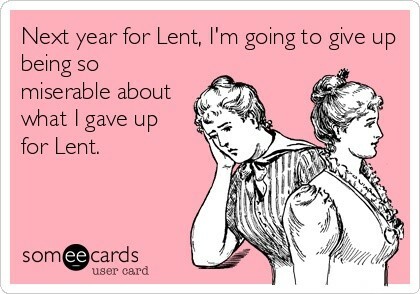 Sometimes I've given up something for Lent and other times I've given up giving up something for Lent. This year I am going to write a poem for each of the 40 days of Lent. You may be wondering what exactly is spiritually reflective about this and I confess I don't have an answer for you. But I will tell you that in addition to the poems I am going to make an effort daily to try and find the good in people that especially annoy me. I am also going to make a special effort to be kind to everyone I come into contact with. We never know what kind of cross others are carrying. The forty days of lent and 40 poems will take me up to Easter Sunday just days before I leave for AWP#15 in Minneapolis. 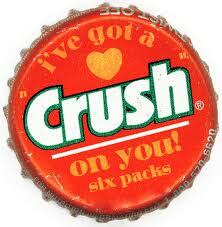 I so wanted to go to AWP last year in Seattle but that was not to be. How this trip has come about is another miracle in and of itself. I confess that I am excited about it as well as nervous about it but I intend to be a sponge and soak up as much as I can from the experience. I understand it can be a bit overwhelming and I will be traveling with my twin personalities Introvert and Extrovert. Of these brothers the shy Introvert will likely dominate things but I'm hopeful that his outgoing brother Extrovert will have his moments too. This will be a first time for me at AWP so if anyone has advice I'm a captive listener. So that's it folks until next Tuesday when well let you know how the poems are coming and if kindness prevails. Until then, be safe.